Do you remember where you were on 6 August 2012? Sarah Pearce was biting her nails watching the live stream of the NASA Curiosity rover landing on Mars. 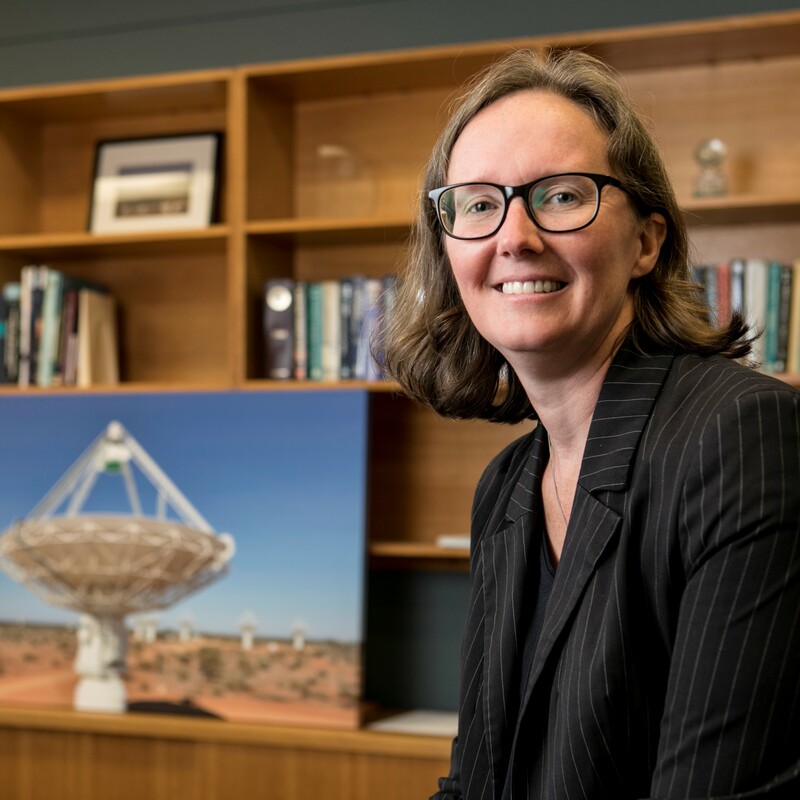 Sarah is the Deputy Director of CSIRO’s astronomy and space science division, and the Canberra Deep Space Communication Complex was the sole station monitoring Curiosity’s descent. CSIRO’s astronomy and space science division run the station on behalf of NASA, and were incredibly proud when the 900kg rover landed successfully. Sarah Pearce has wanted to work in the space field since she was a teenager. As well as managing the Canberra station, CSIRO’s astronomy and space science division run Australian radio telescopes for the international science community. That includes the iconic ‘Dish’ at Parkes, and the new Australian Square Kilometre Array Pathfinder in WA. Although Sarah started out with a degree in Physics from Oxford, and a PhD in instrumentation for X-ray astronomy, her career hasn’t been only in astronomy. Sarah spent several years in the UK civil service, including as a science adviser in Parliament. Immediately before her current role, she was the project manager delivering UK computing for CERN’s Large Hadron Collider.